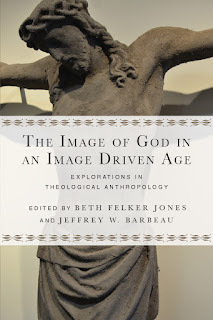 Behold a beautiful new book based on our conference on the image, edited by Beth Jones, Jeffrey Barbeau and the tireless David Congdon. In my chapter I contrast the failed resistance of most contemporary art to the firm resistance of one particular micro-art world. And here is a Mockingcast interview with Scott Jones in which I discuss the central illustration I used in the chapter - the transformation of the venerable Church of the Holy Communion into a mini-mall. But if only I had known about the Church of Skatan!